Which Pancake Mixes Should Vegans Avoid? Because some of the brands on this list are accidentally vegan, the instructions will sometimes call on you to add milk and eggs to the mix. But don't worry! In the next section we'll give you some simple steps you can take to replace them. 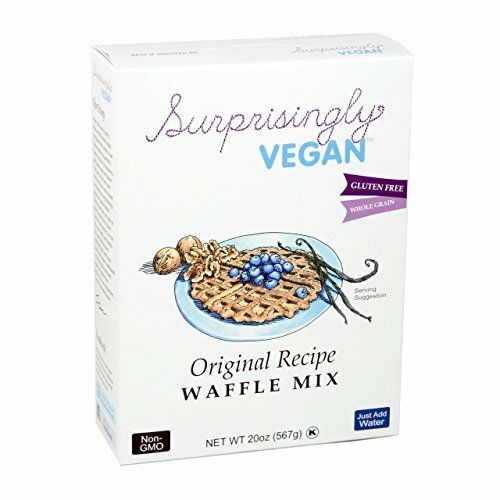 We could only find one specifically vegan brand online that had a mix you just add water to: Suprisingly Vegan, with their Original Recipe Waffle Mix. Although this is a waffle mix, it can of course be used in the same way as a pancake mix. 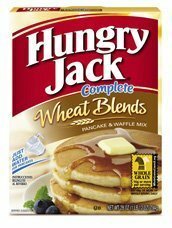 Hungry Jack’s Complete Wheat Blends Pancake and Waffle Mix is also a complete mix, but it isn’t advertised vegan – so make sure whenever you buy it to check the ingredients, because they can easily change. However, the manufacturer’s website currently confirms its vegan status. Additionally, the instructions don’t call for any milk or eggs – just water! Cherrybrook Kitchen’s Gluten Free Pancake and Waffle Mix is a another great pick and is advertised as being free of any animal products. Their instructions call for plant milk and vegetable oil as the only ingredients you need to add! 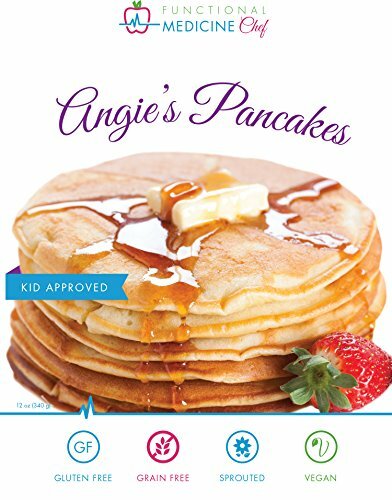 So is Angie’s Pancake and Waffle Mix, which is also a very popular brand. 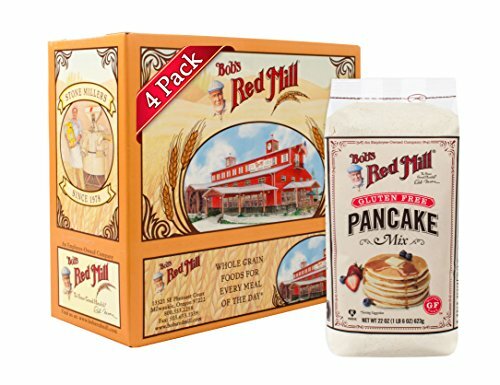 Bob’s Red Mill’s Gluten Free Pancake Mix, Pancake & Waffle Mix, and Organic 7-Grain Pancake & Waffle Whole Grain Mix are all also vegan. They’re a great company to check out for any grain based needs. The most common non-vegan ingredient in pancake mixes is milk. This is especially the case in buttermilk pancakes. If you see a buttermilk pancake mix, odds are it has some form of dairy in it. 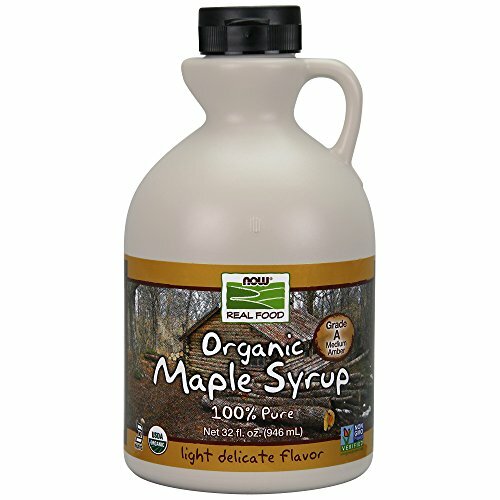 You've got questions about vegan pancake mixes? We've got answers! How Do I Replace Milk and Egg? For milks, this is pretty easy: get any sort of non-dairy milk, like almond milk, coconut milk, or soy milk. Combine 1 tbsp of flaxseed meal with 3 tbps of water. Put it in the refrigerator and check back in 10-15 minutes. The end product should be thick, kind of like a runny egg. This recipe makes one flax egg, but can be multiplied for as many as you need! Use as many flax eggs as the pancake mix calls for. Are There Vegan Chocolate Chips I Can Use? If you’re making something sweet, like banana pancakes, then simple cacao nibs work great. 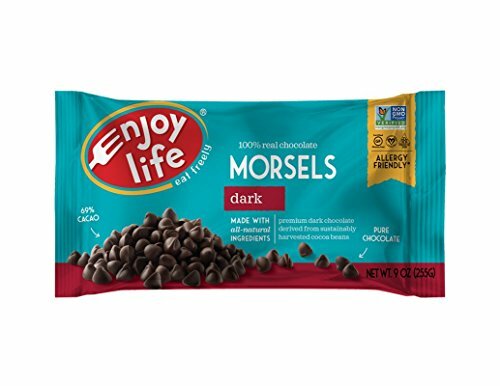 However, if you want the classic chocolate chips, then the Enjoy Life semi-sweet chips or chunks are better! They’re also available in most grocery stores. Check the baking aisle. What's the Best Vegan Butter for Pancakes? To make things a little more nutrient dense, we personally like to use peanut butter, especially on banana pancakes. Bananas and peanut butter are a match made in heaven! ​But if you did want to use a more traditional vegan butter, then Earth Balance is going to be the most popular. Alternatively, there’s a bunch of butter flavored coconut oils available on the market. What Are Some Vegan Syrups for My Pancakes? Most commercial syrups you buy are going to be completely vegan, but we do recommend you keep a lookout for syrups with butter in them. They do exist! Most shelf stable syrups are going to have butter flavoring which is most likely vegan. However, some hand-crafted gourmet syrups may actually have real butter in them. To keep things simple, we recommend sticking with a pure maple syrup or an agave syrup. Plant milk to mix everything with. A binder such as flaxseed to hold it all together. Additional ingredients such as flavor extracts and fruits, like bananas or blueberries, are optional. This short video below by Mary's Test Kitchen makes making pancake vegan mix super easy and (somewhat) healthy. Storage: You can take all of the dry ingredients in this recipe and combine them in a jar ahead of time. Whenever you want to make pancakes, simply take out the jar and add it to a mixing bowl. From there you can proceed to add the wet ingredients. Replacing Shortening: Finally, you can experiment with leaving out the shortening and replace it with a thick cashew cream if you want to stick to whole foods. To make a thick cashew cream, simply soak 1/2 cup of cashews for around 2-3 hours. Then, blend the cashews with as little water as possible to make a thick cream and use in place of shortening or butter. ​We've already talked about a few niche vegan pancakes mixes that are super easy to find online. However, when you're out at the grocery store, its unlikely that you're going to find brands like Surprisingly Vegan and Cherrybrook Kitchen. Luckily, many of the common brands found in Walmart and such offer accidentally vegan options. So if you’re out in stores, look out for these popular brands: Hungry Jack, Bob’s Red Mill, Bisquick, and Aunt Jemima. Additionally, you can use the links to check the store locators on their websites which we've linked below. As always, if a product isn't specifically advertised as vegan, be sure to double check the ingredient statement. As a bonus, just needs you to add water. No milk or eggs required! Bob’s Red Mill offers the the following accidentally vegan options which should be in most US-based grocery stores. Keep in mind that these do call for extra ingredients - but making a f﻿﻿lax ﻿﻿﻿egg is easy enough (see the our recipe earlier in this article). We actually did an entire separate post titled: Is Bisquick Vega﻿n. We thought it might be easier since they have so many different products. Long story short, Bisquick has three vegan products in their pancake and waffle line​, but a bunch of others with dairy. As you can see, no animal products to be found! With all grain products, there are always several questionable ingredients which exist in trace amounts. In pancake mixes, these ingredients are commonly: Folic Acid, Niacin, Riboflavin, Thiamine, and Iron. With the exception of iron, all of these weird sounding ingredients are B-Vitamins. Now for the big question: are they vegan? Most of the time, these fortified ﻿vitamins are synthetically produced.​ Therefore, we would say yes, don't worry about them. While there are some that you should clearly avoid, you shouldn't get yourself crazy about trace ingredients. Worrying about whether a single ingredient in a product (which is less than 0.001% of the ingredients anyway) may have been animal derived doesn't really do any good for veganism or the animals. You may sometimes see on pancake mix packages that they may contain trace amounts of milk and egg. If there is no actual milk and egg in the ingredient statement, then don't worry about it - unless you have an allergy. These statements are put on the packaging as an allergen precaution. The manufacturer typically wants to have themselves covered if someone has an allergic reaction to their products. Such products may be produced on the same manufacturing line as other products that contain milk or egg, but they aren't added directly to the ​recipe. As you can see, there are tons of ways to enjoy vegan pancakes. How do you like yours? 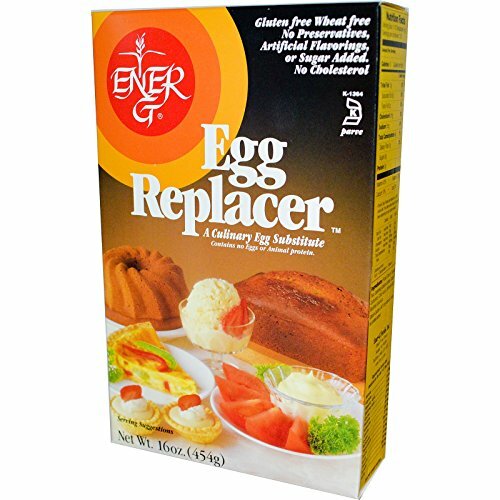 Are there any pancake mixes that we missed or should remove? Is Birch Bender's Pancake Mix Vegan? Is Annie's Pancake and Waffle Mix Vegan?